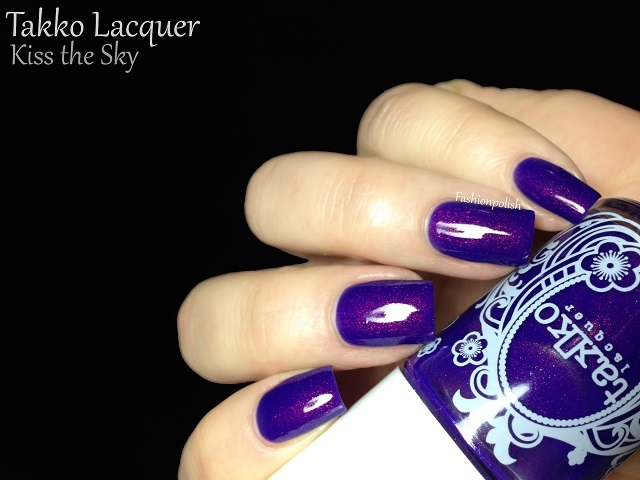 Kiss the Sky is a gorgeous blurple (blue-purple) jelly with the most amazing pink/orange/green multichrome shimmer. I've been dying to get my hands on it ever since it was first released but every time I checked it was sold out. Now that I've tried it, it does NOT disappoint! 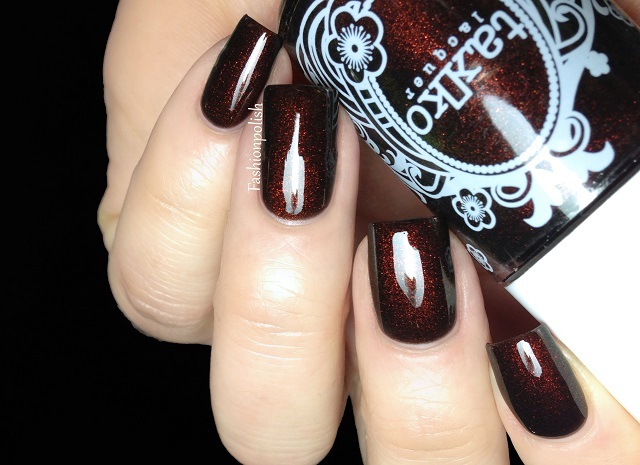 This is just two coats plus topcoat on its own, if you're looking for a deeper multichrome shimmer, you can apply a third coat. 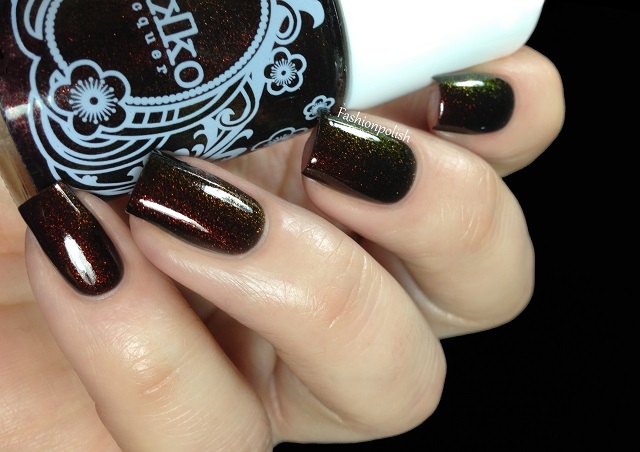 Opium is deep warm based brown vampy with an orange/gold/green multichrome shimmer. This one's another absolute stunner! It reminds me of the highly coveted Versace V2077-W so if you're looking for a (way) cheaper but most importantly much easier to find alternative, make sure to grab Opium. Formula was a bit more opaque and I managed to achieve complete coverage and intensity with two coats. 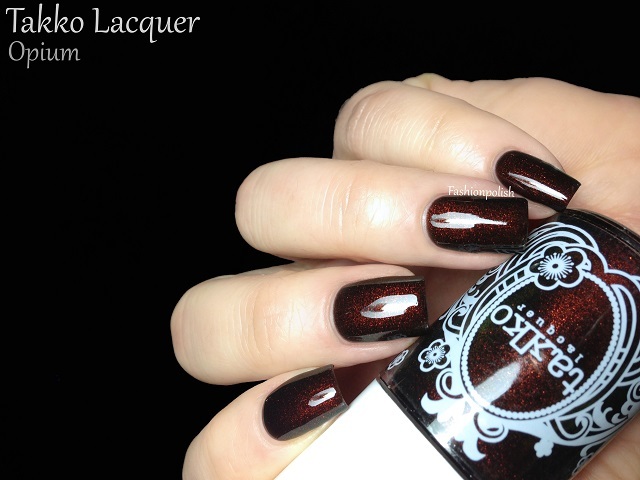 Takko Lacquer can be purchased on Etsy and at meimeisignatures.com. 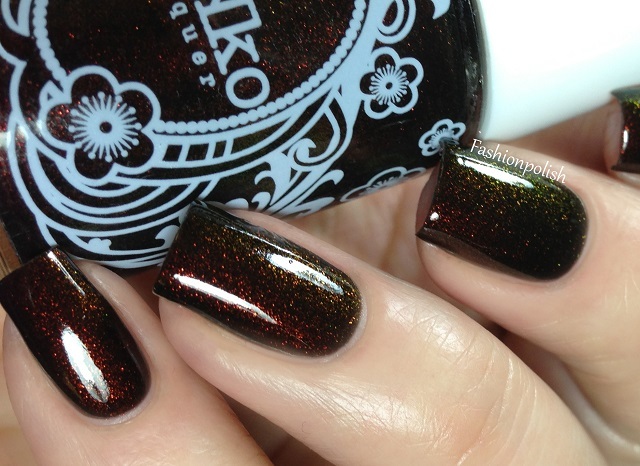 For more information, you can follow Takko Lacquer on Twitter or on Takko Lacquer's blog. Okaaaaay...these are absolutely gorgeous and I really NEEEED the first one! Omg. Kiss the Sky is amazing! It reminds me of Fantasy Fire over blurple. Looks like it glows! Kiss the Sky reminds me of fantasy fire! i love it! Oh my word, these are beautiful. Must...have...now! Two of the ones I want the most and can never catch them! I must top acting like a magpie every time I see a colour shifting polish. I must top acting like a magpie every time I see a colour shifting polish. I must top acting like a magpie every time I see a colour shifting polish. They are beautiful and they make me swoon! Crap, this just reignited my lemming for Kiss the Sky, lol! Way to go :P Haha! 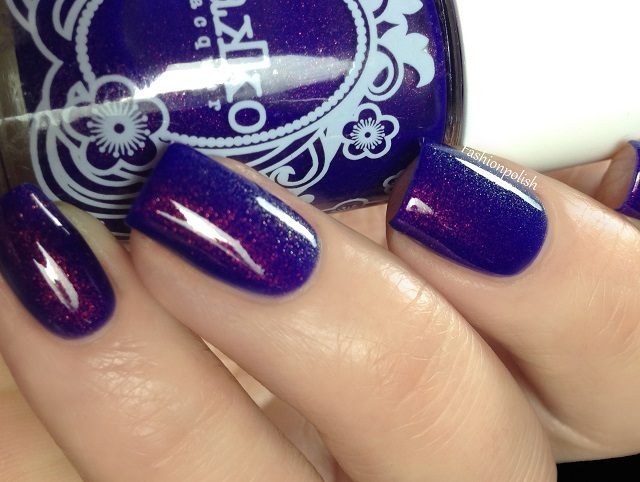 Those are gorgeous polishes! You are right, I DO need them... especially Kiss The Sky! Gorgeous!